Wafubeh! Welcome to Warlock Asylum International News. If you this is your first time visiting the news page, please check out some of our previous articles and share your thoughts by posting a comment. Wishing you all the best in your earthly endeavors, have a great and productive day! 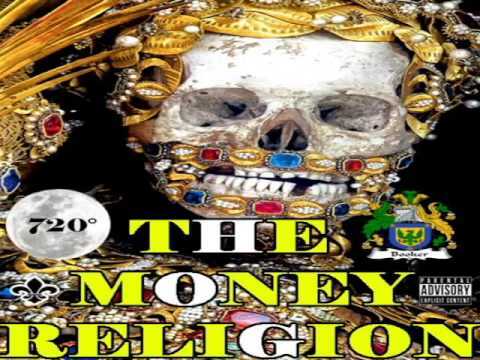 The-God-720s new album, The Money Religion, is one of Hip Hop’s best investments this year! Many of our regular subscribers are familiar with the work of The God 720. This past January he received the 2017 Writer of the Year Award. One would be mistaken, however, if they were to assume that this self-made man skill set is limited to being a brilliant author. Oh hell no! The-God-720 has produced and published some of the finest Hip Hop music to date. Whether you love him or hate him, you certainly have to respect “the most dangerous mind in the world” for his work ethic. The Money Religion Est. July 4th, 1776 is the title of The God 720’s latest album. The title expresses, not only the epitome of The-God-720’s approach to life, but the core of his spirituality. The-God-720 made history a few years back, when he formed and got his religion, the Money religion officially recognized by the government. I’ve heard a previous 720 albums and I must say that his latest offering is The-God-720’s masterpiece! Fans of The-God-720 will immediately notice a different approach to this album’s production than some of his previous albums. The tracks on The Money Religion are bit more exotic and somewhat experimental, but they provide a medium that perfectly compliment 720’s flow. Listening to the album, I get the feel that this was a well thought out project, not just random songs being thrown together. One of my favorite tracks of the Money Religion album is called Kill Bill. It’s one of 720’s best offerings to date and easily this summer’s hip hop anthem. We Don’t Need Know Education and Fallen Rose are other album favorites. This Money Religion is full of jewels. One thing I get from listening to the album is that it seems to be 720’s way of sharing his philosophy to help others improve themselves financially. Actually, The-God-720 is able to authentically do what some mainstream rappers only talk about, but still have not done. Overall, I’m giving The Money Religion Est. July 4th, 1776 by The-God-720, five out of five stars. It is one of the top five albums of 2017 and a certified classic. Get The Money Religion album by The-God-720 and you’ll find that it will be one the best investments you’ve made in 2017.